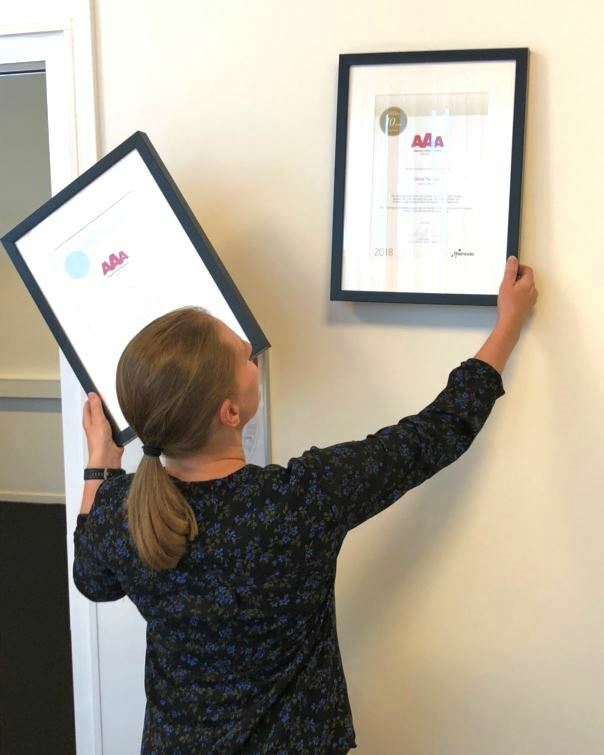 Last week Glova could replace the Silver AAA Diploma with our new Gold AAA diploma. The diploma is awarded based on credit ranking, and AAA is the highest ranking of creditworthiness given to companies with an exceedingly strong ability to meet current payment obligations. Glova has always been focusing on maintaining a strong solvency ratio which means that the company is one of only 14 companies with the same rating within the field of Wholesale of wood, yard lumber and construction materials, and we are very proud to hang up the Gold diploma meaning we have now been able to obtain the AAA ranking 10 years in a row.